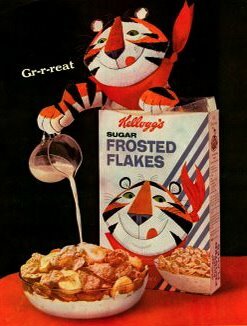 They’re Grrreat! Me… Not So Much. The saying goes “you are what you eat,” if this is true than I must be scarfing down a secret stash of Frosted Flakes in my sleep, because I only see a box of Safeway brand Toasted Oats in the cabinet. Its true though. I’m a flake. I don’t check my voice mail, it takes me forever to respond to emails and my text message replies are almost always a day late. And hanging out in person? Well it better be damn spontaneous because if I have enough time to think about it, I’ll probably worm my way out somehow. As for the frosted part? No it has nothing to do with my hair. This is because on the surface I’m all sugar. I say I want to kick it because I genuinely do, but I’ll probably just end up giving you cavities. Ok I just wanted to throw that last part in to really stretch the metaphor. I should’ve gone with Corn Flakes. Anyway I just did it again. I flaked. I was supposed to go to the movies with this dude that I’ve known for a while. He’s nice and funny and we’ve even had drinks with my boyfriend at, would you believe it, a gay sports bar. It stands to reason that we could be good friends. But only moments ago I called him and left a cancellation voicemail. Boooooo. The “excuse” I dished out was of all things true. I simply told him that my boyfriend and I were in the midst of a two day tiff (I must be having that cereal with the spoiled milk we both keep putting back in the fridge) and I wasn’t up to fanning the flames by going to see a flick with another guy. But this is a blog for another time, one I’ll probably never get around to completing. This is just one of those personal qualities I happen to dislike about myself and maybe this is my way of not really getting around to saying I’m sorry if I’ve pulled this on you. But I know some of you out there can feel me on this. Those of you who indulge in the same social procrastination, anxiety or down right laziness that I do. I’m a flake ok… but thank you for not getting all soggy on me. Ok I’m totally banking on cute points for this one. So yesterday I come in to start my shift at the restaurant and look what I find waiting for me on the bar. This little piece of flash fiction was not only written exclusively for me, but it was gifted to me (first edition by the way) by its author Paloma, or Lola as she insists I call her when we work together. She’s the boss’s daughter you see and her shifts tend to be short. 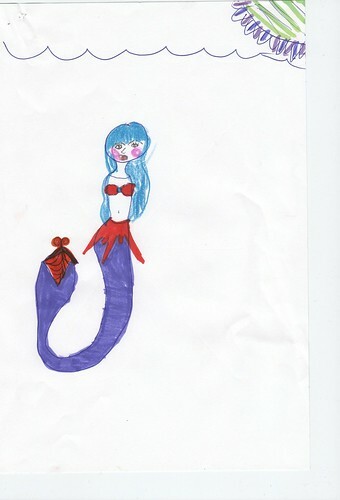 Ever since I’ve known her though she’s always given me little drawings here and there of mermaids or genies or even of me and I’ve watched her art progress with everyone. 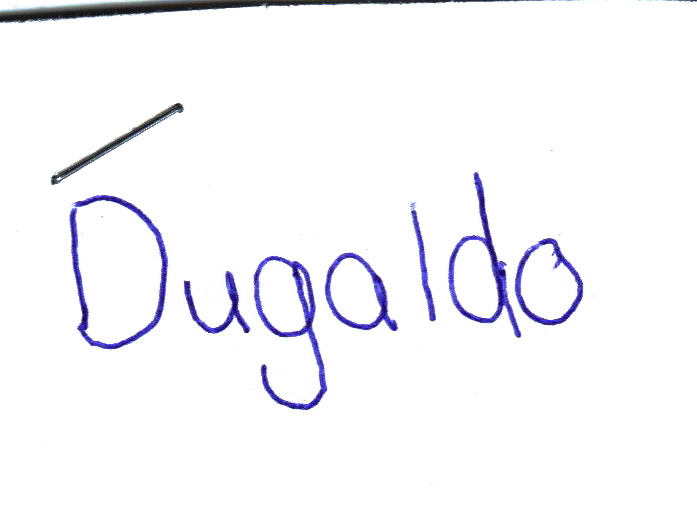 I like when she autographs them too because those are the ones I’ll auction off someday when she’s a famous artist and I’m a withering eccentric who’s already spent all the riches that fame has afforded him. 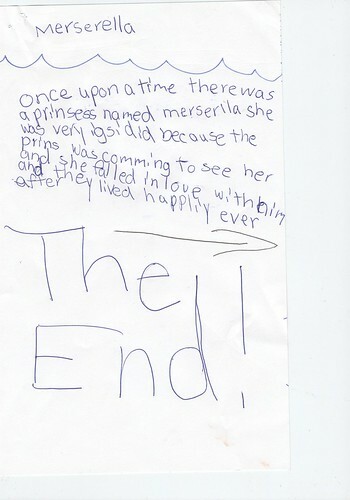 But this is the first story she’s written me complete with complex characters and plot development; or something like that. Anyway I’d say its a keeper. Let me know what you think.